At Artisan Dentistry, Dr. Paul Mathew offers oral conscious sedation, or OCS, to patients who have mild dental anxiety. Oral conscious sedation utilizes oral sedative medication to significantly reduce your fears and discomfort. OCS does not require needles to administer and is less expensive than IV sedation dentistry. OCS, allows you to get all of your dental work done in one visit. Unlike general anesthesia, which makes patients completely unconscious, oral conscious sedation will leave you able to speak and breathe on your own. 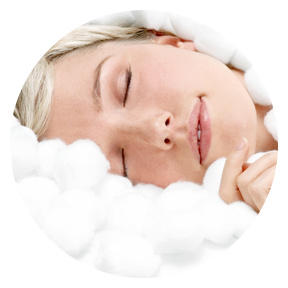 You will not be asleep while using oral conscious sedation, but you will enjoy a very relaxed state. Your appointment will feel like it passed by quickly. While oral conscious sedation will make you feel more relaxed, Dr. Mathew will still apply a local anesthetic to ensure that you don’t experience any pain. Normally, you’ll need two appointments when using sedation dentistry during the first visit Dr. Mathew will assesses your health history and perform the dental consultation. Once you’re ready to go through with treatment, you’ll be given a prescription for a sedative medication to take the night before your second appointment. On the day of the appointment you’ll need to be accompanied, as driving while sedated can be dangerous. Once you arrive, you’ll take additional medication to ensure that you’re completely relaxed and your comfort level will be monitored by Dr. Paul Mathew. Contact either the Newburyport, MA dental office or the Salem, NH location for your sedation dentistry consultation.